We were in one of the local parks this morning. It was rather dark, the park is full of trees and is difficult to photograph birds sometimes. 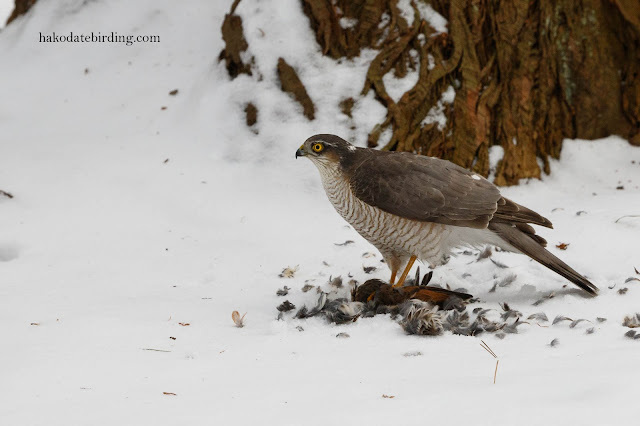 This female Sparrowhawk was a nice find, looks like it was eating a Brown-eared Bulbul............................shane about the poor light. The light may have been poor, but a great shot nevertheless, Stuart.